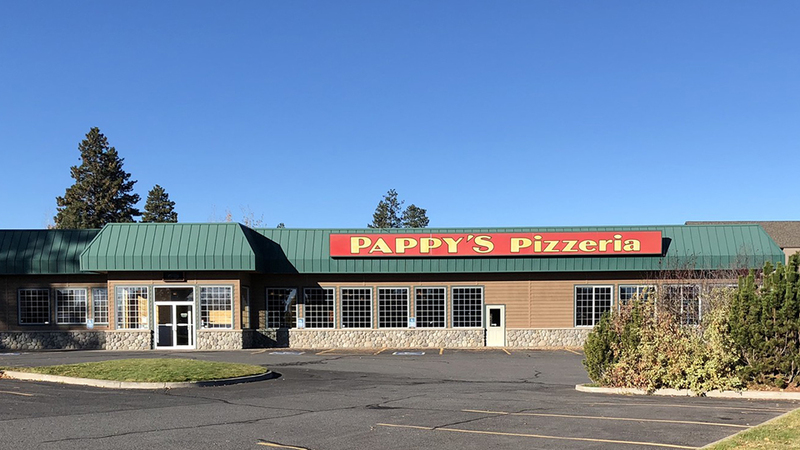 Pappy’s Pizzeria is a small locally owned restaurant group with locations in Bend, Redmond and Eugene. The Bend location is next to Fred Meyer off 3rd St at the southern end of town. Pappy’s has one gigantic claim to fame: they feature an enormous play area that kids go crazy for. That means on any given weekend, the place is overrun with enthusiastic kids attending birthday parties in their banquet rooms that serve pizza and give them turnout time on a two-story play structure. During inclement weather, parents turn to both Pappy’s sports-tuned televisions and beer and wine selection while their kids blow off steam. On the pizza front, they offer a wide selection of typical choices and also will deliver right to you. They also have some signature pies, like their Mt. Bachelor with pesto sauce, garlic, olives, wax banana peppers, artichokes & sausage, and the Shrimp Boat with black olives, mushrooms and shrimp. A lot of reviewers comment on the higher price point, but are generally positive about the dependability of the pizza.